For the Joy of it All! Changing jobs at 63 -- days short of 64 -- can be daunting. What if I'm making a mistake? Am I getting senile to think I can do this? Am I just insane? It's been 56 days. And I'm having a BALL! I just did my first video review of a book on Amazon, saw the fact my eyes could use cosmetic surgery and stuck it up there anyway. I spoke twice yesterday, listened to a tape I made of one of them, wished I hadn't spoken so fast or sounded so Southern, but I'm ready and willing to go speak elsewhere, actively seeking out groups who will hear me. I told the Abilene Mothers Study Club yesterday about Michigan Left Turns. I talked about all the changes I've made in my professional life - from the intention from age nine to be a missionary, through 7th and 8th grade Spanish and English teacher, Director of Christian Education, typesetter, legal secretary, lawyer, judge, and now publisher - and that they could be considered going right to get left. But each contributed to the next and all the others came in to play with each new task, so none of them were wrong turns, even if looking back they appear confusing. I said we had gotten to the best place, "the best is yet to be" (Browning), and that now that we're here, we need to look at the luggage we've lugged around and shed the unnecessary. I think that's what I've done. What have I shed? Worrying about people who may question my philosophy, politics, theology, reading, whatever! 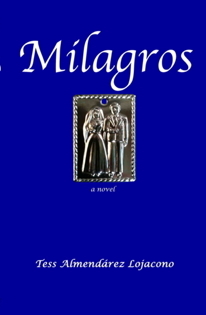 With that baggage gone, I'm excited about White Elephants which came in Wednesday and Milagros, expected to arrive here Monday. I'm pleased with how Flashlight Memories is looking, and ready to finish it up, send it out, and move on to the next project. And the rest of my life, laughing and thriving.